For the last year there has been a steady drip-drip of doctor-as-hero stories appearing in the Chinese media. A typical (and recurrent) one is the story of the sick doctor who keeps on working despite being ill enough to require an infusion line stuck in his or her arm. This is presumably intended show show how dedicated the doctor is in the spirit of that selfless icon Lei Feng. In reality these stories make the doctor and the health service look foolish and backward. No professional doctor would turn up at the hospital if they have an infectious disease. And no self respecting doctor would believe that an infusion is the right treatment for an ambulant patient. If you're sick enough to require IV antibiotics then your place is in a hospital bed, not the doctor's seat. The fact that these stories appear on a regular basis in the Chinese media suggests that there is some ongoing propaganda edict from on high to publicise selfless healthcare staff. Until now, these doctor-as-Lei-Feng stories have just been an occasional eyebrow-raising oddity. However in the last month or so there have been more and more such stories appearing in the media. Last week there was a story of a doctor who was so busy that his son resorted to booking an appointment as a patient so that he could get to see his father. In a family-focused society such as China this 'heart-rending' story was no doubt intended to show how overworked and noble the Chinese doctor is. This week the selfless medic story of the moment is one concerning Zhejiang doctors who have reportedly been lending money to poor patients so that they can pay for their medical treatment. 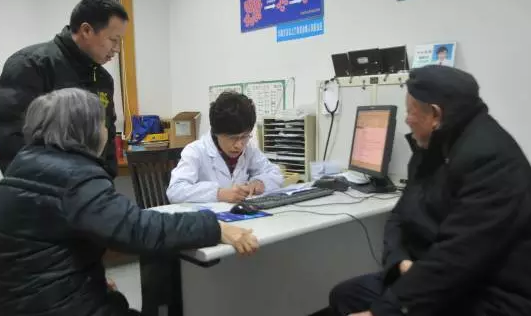 According to the local media, a female doctor Yang Yonghong, chief physician at Zhejiang Taizhou Municipal Hospital of Infectious Diseases lent 500 yuan to a patient who said he could not afford to pay for the antibiotics he had been prescribed. Dr Yang insisted that the man take the money to pay for an IV infusion for his sepsis. According to Dr Yang, the man had a life threatening infection that needed immediate treatment. When he wavered about paying, Dr Yang handed over the money and said he could repay her later. The man reportedly left and did not return for his infusion. But Dr Yang said it was better to offer money and lose it than to risk a patient dying. Fortunately for this doctor the story had a happy ending when the patient returned two days later to repay her. He said he had sought treatment at a local clinic because it was too late to return to the hospital. The patient then allegedly made a full recovery. Dr Yang has since become a local hero on social media for her generous and selfless action - especially as she was very self deprecating, saying it was nothing, and that many doctors performed similar acts of generosity every day. "I often ask patients about their economic circumstances and if they are not rich I try to prescribe cheaper drugs and treatment. 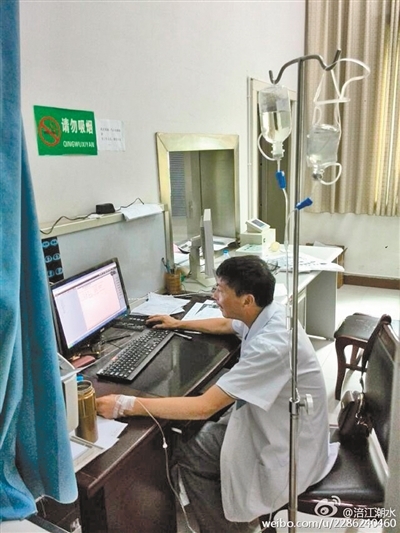 Last year I lent several hundred yuan to patients who could not afford treatment - I did not hear back and I hope they are well," she is quoted as saying. The whole sounds very fishy and too good to be true. Is this Xi Jinping's way of sugar coating the medical reforms that will require patients to pay higher fees for medical care?